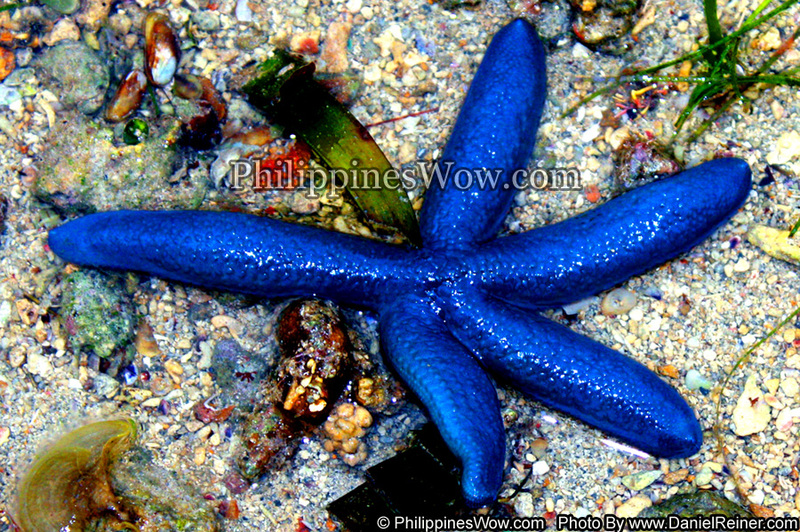 The Blue Starfish is a very common in the Philippines and is very soft and almost like a sea slug but in the shape of a star. These starfish can easily be found in shallow water in low tide and can actually live outside water for a while when above water in low tide. But after being in the open air for a while they seem to loose some of their Blue color.